On Sept. 1, The Salt Lake Tribune editorial board weighed in on the 1st Congressional District race with glowing praise of Democratic candidate Donna McAleer’s unique qualifications, ranging from military experience to the private sector—and then endorsed decade-long incumbent Rep. Rob Bishop. In McAleer’s view, the editorial’s support of Bishop’s experience in Congress is representative of the political inertia that gels Utah incumbents safely into their D.C. seats for decades. For McAleer, who has kept a breathless pace in all of her adventures—graduating from West Point Military Academy, leading a platoon of military police in Germany, successful forays in business, nonprofit work and authorship—running for Congress is as much about the race as it is the finish. After participating in an event by the University of Utah’s Hinckley Institute of Politics and the YWCA’s Utah’s Real Women Run event in 2012, McAleer wrote a blog for the group, urging women to fill the seats of power if they really wanted to change their worlds. McAleer ended the blog by sounding a note that now is the time for women to run. McAleer’s campaign is built on her life experiences versus the D.C. experience of her incumbent opponent. She says she draws strength from being a woman and a mother, and worries that a Congress filled mostly with career politicians and few veterans doesn’t have a philosophy of using the military as a measure of last resort. “When you don’t have a [Congress] that’s got former military in there, it’s very easy to send your military in ... our sons and daughters, first, before exhausting diplomatic and economic sanctions,” McAleer says. While McAleer did not serve in a combat role, her time as leader of a military-police platoon and public-relations officer for the U.S. Army in Germany at the end of the Cold War helped forge her leadership and organizational abilities. But it was West Point where she says her mettle was first tested. “It’s a crucible of fire,” McAleer says plainly, with a tinge of nostalgia in her voice. Enrolled at 17, McAleer was in the eighth class to accept women at the military leadership academy. She and her fellow cadets juggled leadership roles and courses in languages, history and physics, along with physically demanding classes such as survival swimming, where they would dive off 10-meter platforms in full combat gear and practice underwater swimming. West Point was where McAleer formed some lifelong bonds—including meeting her husband—and where she says she drew upon her ability to collaborate for the sake of the mission. 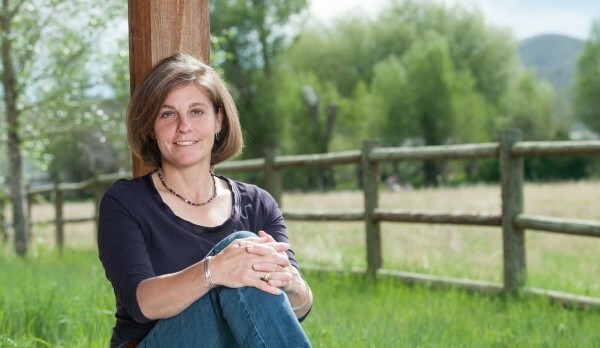 District 1 voters to believe that McAleer, if elected, would cooperate and legislate, she hopes that she can convince constituents that her politics are Democratic but her agenda would be bipartisan, following the lead of Utah’s lone Democrat in Congress, Rep. Jim Matheson, who pushes most of his legislation as bipartisan efforts. Regardless, McAleer isn’t afraid of voicing support for the policies she thinks are working and the ones that aren’t. Unlike Bishop, McAleer believes public lands are better managed by the federal government. She also believes the multi-use nature of public lands provides a benefit to tourists that shouldn’t be overshadowed by oil derricks and gas drills. “Our land brings so much to the Utah economy in terms of tourism, with $5 to $6 billion and about 65,000 jobs when you think of the outdoor retail and recreations sector,” McAleer says. McAleer’s emphasis on tourism, however, does not mean she favors the SkiLink proposal, which would build a gondola linking Solitude and Canyons resorts into a mega ski park. The project could affect the local watershed and would mean developing on backcountry wilderness. McAleer says she would support what her constituents want, but says she doubts the development would bring in permanent jobs. She also does not shy away from support of President Barack Obama’s landmark Affordable Care Act, speaking in favor of the program for extending coverage to millions of uninsured Americans who avoid care until they wind up in the emergency room. She hopes Congress can now work to shore up the financial burden of the program. McAleer speaks from experience, having served as the director of the People’s Health Clinic, a nonprofit medical clinic whose budget she helped bring into the black. Her management there came after having served years as the vice president of logistics at a Boston tech company. Perhaps one of McAleer’s most impressive points on her résumé is that, in between her transition from the for-profit world to nonprofit health care, McAleer tried out for the U.S. 2002 Olympic Women’s Bobsled team. She came in fourth in the trials, but, like all her adventures, she is nonchalant about the decision that thrust her into an entirely new and formidable challenge. “I just didn’t want to spend my days sitting on my porch reading Sports Illustrated going ‘Coulda, shoulda, woulda,’ ” she says. McAleer is applying a similar tack to her current race. While she always aspired to go to West Point and try out for the Olympics, politics were never such a burning desire. Public service for her country, however, has been at the center of her life, especially since she was sworn into West Point. Reporter’s Note: City Weekly interviewed Donna McAleer about her campaign while hiking on Rob’s Trail outside of Park City with the candidate and her dog, Colonel Thayer. McAleer spoke and hiked for two hours with almost no interruption, pausing for less than a minute only five times along the trail, three times to admire the view, once to fix her pack and once to talk with acquaintances on the trail.